Looking for insurance? We have you covered. Life is not predictable, so our insurance options will help ensure your peace of mind. As an ACEBSA member, you can receive insurance policies issued at a discounted rate and free insurance referrals. Our insurance options provide a full range of coverage areas, including medical and life insurance, legal services, among others. Signing up is fast and easy. Simply call (213) 485-2485, stop by the ACEBSA office, or visit our vendor events, which are held outside of the ACEBSA office twice a month on Pay Day. These vendor events give members the opportunity to have direct agent communication and local area agent assistance. In addition, ACEBSA members have the convenience of Automatic Payroll Deduction for insurance services. This means members do not have to worry about missing premiums! Thinking about retiring, but don’t want to miss out on our insurance options? Don’t worry. LAC retirees can remain ACEBSA members and enjoy the benefits of insurance coverage and automatic payroll deductions even after retirement for uninterrupted continuous coverage. Our insurance providers include the following: AFLAC, AXA Advisors, LLC., Colonial, and Prepaid Legal / Legal Shield. Aflac is a Fortune 500 company, which provides financial protection to more than 50 million people worldwide and is the leading provider of supplemental insurance in the United States. Aflac focuses on providing relief from financial stress, so policyholders can focus on recovering. It does so by paying cash benefits fairly, promptly and directly to the insured. The areas of coverage through ACEBSA include the following: Cancer, Critical, Accident, Hospitalization, and Intensive Care. Since 1859, AXA Advisors have helped families and businesses take small, manageable steps toward financial security. By providing its clients with stability and reliability through its services, AXA helps to give its clients confidence and a peace of mind. The areas of coverage through ACEBSA include the following: Disability, Mutual Funds, College Plan, Life Insurance, Long Term Care, Retirement Plan, Investment Plan, and Financial Planning. Colonial has been helping America's workers for over 75 years. Its mission is to help its clients preserve and protect the vitally important things they work so hard to build by going above and beyond to provide unmatched customer service. The areas of coverage through ACEBSA include the following: Cancer, Accident, Life Insurance, Long Term Care, Critical Illness, Hospitalization, and Disability. Prepaid Legal / Legal Shield is a dedicated law firm you can count on when you need legal advice. No issue is too big or too small. 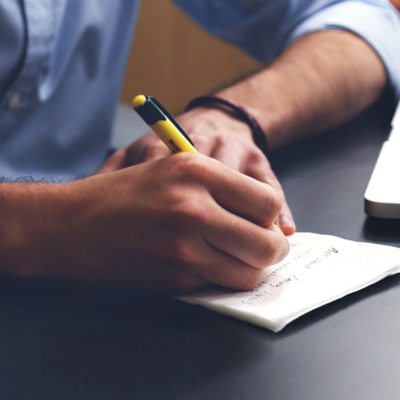 Speaking with lawyers can cost you $250 per hour, but you can save with Legal Shield. By paying one low monthly fee, ACEBSA members can avoid these high costs and gain access to legal advice. The areas of coverage through ACEBSA include the following: Identity Theft Protection, Nationwide Legal Services, and 24-Hour Emergency Services. Since 1911, Washington National has been serving middle-income Americans to protect them from the physical and financial impact of critical illnesses, accidents and loss of life. It has protected more than 1 million people and 25,000 employer groups with supplemental health and life insurance. The areas of coverage through ACEBSA include the following: Cancer, Accident/ Disability, Universal Life, Critical Illness, Heart/ Stroke, Intensive Care, Term Life. 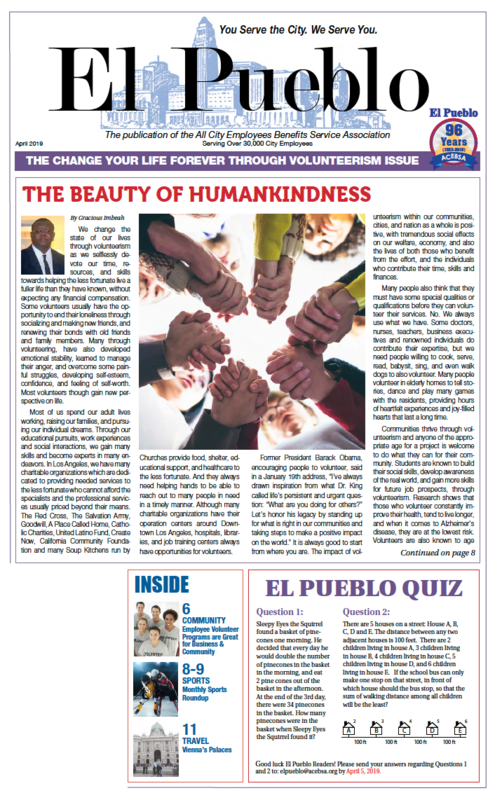 Click to Read This Month's El Pueblo!